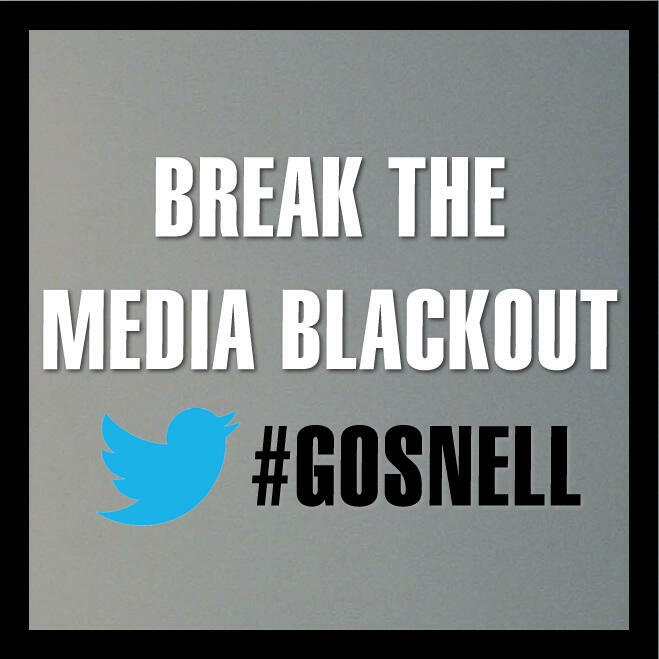 Pro-life ‘Tweetfest’ to break media blackout on #Gosnell trial: 166,800 tweets in 12 hours — 1389 Blog - Counterjihad! PHILADELPHIA, April 12, 2013 (LifeSiteNews.com) – The Gosnell “tweetfest” on Friday proved to be a massive success, inspiring critical reflections by liberal journalists, mainstream media coverage, and an unprecedented groundswell of citizen action aimed at breaking through a media blackout. Between 6 a.m. and 6 p.m. Eastern time on Friday, more than 166,800 tweets had been posted on Twitter using the #Gosnell hashtag. Pro-life organizations encouraged their followers to send tweets containing “#Gosnell” on Friday to encourage the mainstream media to cover the trial of Philadelphia abortionist Kermit Gosnell. Pro-life activists believe the story’s grisly details of severed feet, barbarism, racism, and lack of government oversight would normally earn saturation coverage, if they did not cast abortion-on-demand in a negative light. A documentary film about Kermit Gosnell, the Philadelphia Women’s Medical Society disaster, and the cover-up by state and local oversight agencies. The abortionist problem is inherent in abortion. Moreover, abortion is all about taking away choices. – Abortionist quoted from a radio talk show by John Rice in “Abortion” Litt D. Murfreesboro, TN. Published on Aug 23, 2012 by TFDFROC . In 2001, then IL state Sen. Barack Obama for the 2nd year in a row was the sole senator opposing Born Alive Infant bills state senate floor. Audio of senate floor debates is destroyed when transcripts are written. Until now only the Chicago Tribune was known to have audio of this debate but has not released it. But we now have it. In the audio Obama is arguing against calling for a 2nd physician if the 1st physician – the abortionist – has decided the baby s/he has just aborted alive is nonviable. Most would recognize the potential for subjective opinion in this case. The abortionist is being paid to kill the baby predelivery, and a live birth would indicate s/he botched, for one thing. For another, often these babies are being aborted because the abortionist has stated they are handicapped. A living baby could also be evidence the abortionist made a wrong diagnosis. Barack Obama, a self-professed champion of the little guy and opponent of bullies, in this case argued in favor of trusting the abortionist. And the reasons are obvious. The abortion lobby in 2008 promised to spend $30 MILLION for their candidates as well as get out the vote. View the Gosnell grand jury report here. View the #Gosnell tweets here.